You’ve become engaged and you have decided to get married in Florida - congratulations. But now what? Well there is the wedding to plan! If you want to do everything yourself, where do you start? If you were getting married in your home town then your family, friends and yourself would know who to use and more importantly who NOT to use to provide the flowers, the limousines, the photographs etc. You would know the best places to get married and the best place for the wedding reception. In Florida you might not know these things but a Florida wedding planner will. You now need to ask yourself - do you do everything yourself, do you get a wedding planner to do everything for you or is there something in between? There is a lot to do to plan a wedding. It can take, on average, 7–12 months to plan, with the actual booking and searching equivalent to 6 weeks full time work. 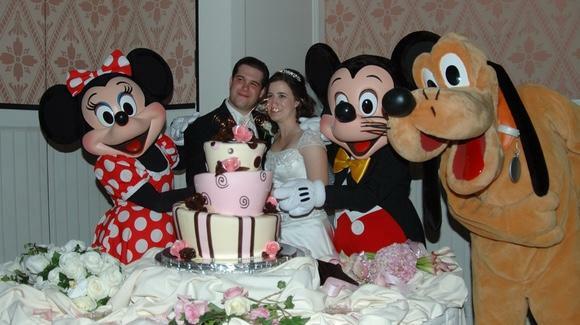 So, does it make sense to employ a wedding planner in Florida? Well, yes, it does for a Destination Wedding as they are called. Despite the miracles of emails and the web for communication, you may wish to choose a wedding planner who has offices in your home country and in Florida or book your wedding through a travel company offering wedding vacation packages. As much or as little as you want them to; it depends on your budget and how much you want to do yourself. The Wedding Planners are professionals and they have all the contacts. They will know who is the best florist, where to hold the wedding reception etc. in the area you have chosen. They will probably have arrangements with these vendors so they can get you discounts, and save you money. But more than that they will save you hassle and ensure that when you get to your dream wedding, it lives up to your expectations and you are relaxed and able to enjoy it. If you want to do most of the work yourself, but just need help with contacts, or generally pointing in the right directions, some wedding planners have an hourly consultation rate where they will assist you in just the areas you need help with, such as finding suitable locations and vendors, help with arranging the license etc. There are several US associations that ensure professionalism in Florida wedding planners. It would be a good idea to check out any wedding planner you are thinking of using. These associations include the National Association for Wedding Professionals (NAWP), Weddings Beautiful Worldwide, the National Association of Catering Executives (NACE) and the Association for Wedding Professionals International (AFWPI). A Basic wedding package will usually include one consultation, organising the actual ceremony, including the notary or officiant, help with the Marriage License, and maybe help with the vows. This can be as inexpensive as under $200 depending on the package and the location. An Intermediate wedding package would typically include limited consultations, organising the actual ceremony, including the vows and the officiant or notary, help with the license, provision of the Bride’s bouquet and the Bridegroom’s Boutonniere (buttonhole). Provision of a photographer with a limited number of photos provided, and recorded music for during the ceremony. This typically costs from about $600. A Deluxe wedding package will usually include unlimited consultations. organising the ceremony including celebrant and vows, help with the license, provision of the Bride and Bridesmaid’s bouquets, Groom and Best Man’s Boutonnieres, a photographer with a larger selection of photographs, live music for during the ceremony and possibly champagne and a cake for after the service. They will hold your hand during every stage of the planning. This level of service can cost from $1250 upwards. There are plenty of companies offering Florida wedding planning services, dress hire or suitable venues to make your special day one of the most memorable days of your life.